As big, white snowflakes continue to fall in Wilmington, transportation officials are warning drivers about icy, slippery road surfaces as the temperatures drop. 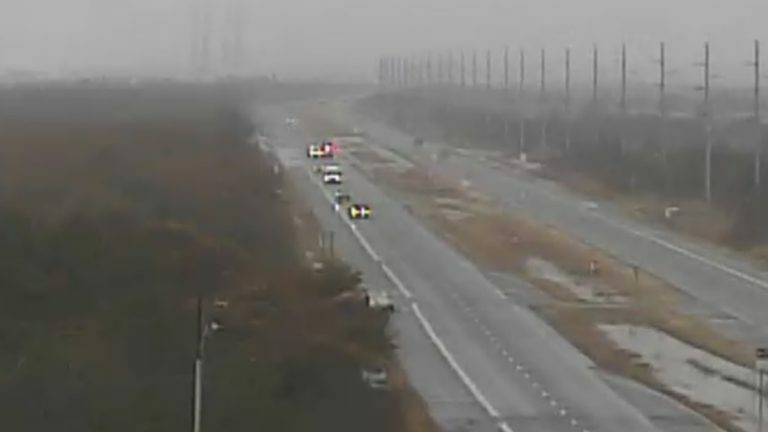 Flooding was a problem downstate earlier today, shutting down Route 1 at 11 a.m. this morning between Bethany Beach and Dewey Beach. The major artery has since been reopened. Jim Westhoff with Delaware’s Dept. of Transportation said his crews are continuing to apply salt to those areas most likely to become slick. Elevated surfaces such as ramps and bridges are usually the first areas to freeze when the mercury drops. Road conditions and the progress of DelDOT plows can be monitored online at deldot.gov. Alternatively, DelDOT also has a smart phone app.